Come visit Grapevine! 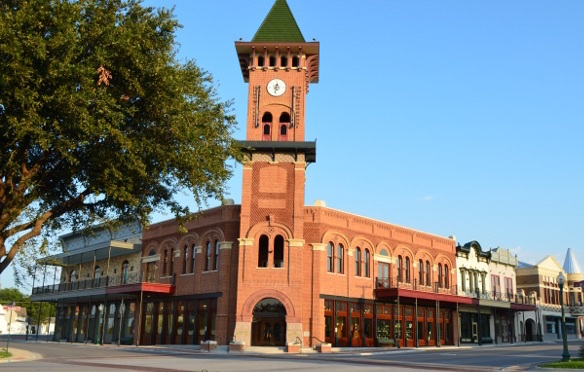 This city has much to offer including locally-owned restaurants, the Grapevine Village Railroad, winery tasting rooms, unique boutiques, jewelry stores, and art galleries. The city revolves around Historic Main Street and has a year’s worth of annual festivals and events. Enjoy 81 holes of golf at the Cowboys Golf Club, the Grapevine Golf Course or Bear Creek Golf Course. Spend a day shopping at the Grapevine Mills or relaxing on beautiful Lake Grapevine. The city offers more than 20 hotel properties from full service resorts with water parks to campgrounds to enjoy nature and sleep under the stars. So come enjoy some Texas hospitality. You will be glad you did!